At Church at baltimore, we recognize that there is great value in partnering with like-minded organizations. We believe that the key to our success can be found in the people God brings to us. We love doing life with the people in our church family, but sometimes God brings people into our lives that won't be with us every Sunday morning. These are mentors, coaches, spiritual mothers and fathers, and friends, who have churches and organizations of their own. By working with other networks, we can increase the breadth and depth of the resources available to us. The networks we are a part of provide us with spiritual mothers and fathers who can speak into our life and ministry. Our primary relationship is with Global Legacy, a ministry of Bethel Church in Redding California. We love the way Bethel church has stewarded revival and have become both a kingdom resource center and revival incubator. Their vision of sustainable revival is one that resonates with our own calling at Church at Baltimore. Global Legacy is their relational network that aims to connect, encourage, and equip revival leaders worldwide. They expand God’s kingdom by helping to build relationships between revival leaders, ministries, and organizations around the globe, and to equip them to transform their spheres of influence. Church at Baltimore has fostered relationships with Global Legacy staff like Steve Backlund, and regularly invite guest speakers to join us for weekend services and special events. Global Legacy also provides many of the resources we use in leadership development at Church at Baltimore. In addition to our partnership with Global Legacy, we've developed relationships with other apostolic leaders, ministries, and networks. Here's a few of the people and their ministries that we are a part of. 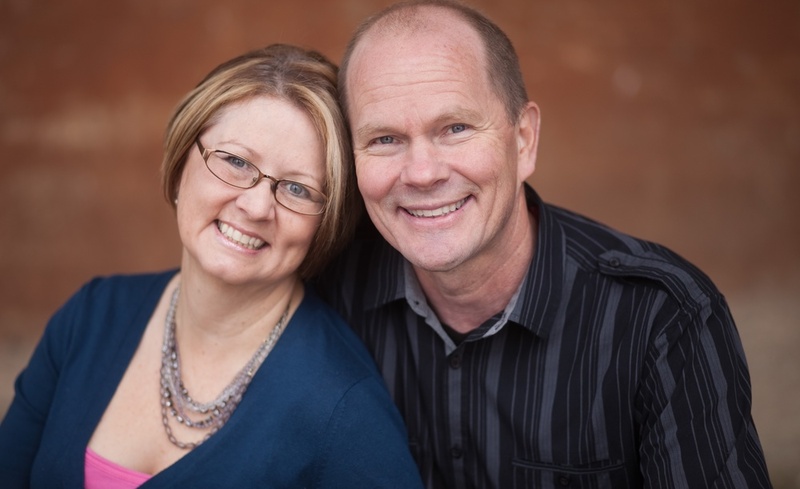 Igniting Hope Ministries was founded by Steve and Wendy Backlund for the purpose of equipping individuals with hope, joy, and divine strategies for personal breakthrough and increased influence. Their message comes from personal victories over hopelessness, perfectionism, and discouragement that were a result of believing lies instead of truth. Through revelatory and interactive teaching, they release biblical wisdom that unlocks minds and hearts to embrace truth, resulting in transformed lives (Romans12:2). Since 2005, Steve and Wendy have written 12 books collectively; they also travel to many churches and ministries worldwide to spread the message of hope, joy, and victorious mindsets. Michael Brodeur co-founded a ministry called SOS San Francisco that united dozens of churches and organizations, and mobilized thousands of believers for outreach on the streets of San Francisco. In 1984 Michael and his wife launched a new church in the city called The Vineyard. This church became one of the largest San Francisco had seen in a generation. He served as the lead pastor of this church for the next twenty-five years, ministering to the poor and unreached, healing broken hearts, and training hundreds of leaders. After 33 years Michael and His wife moved to Redding, California and began to work for two organizations: Global Legacy and Jesus Culture. Michael has also launched two tools for the church, Destinyfinder.com, an online personal discovery and development system and pastorscoach.com, an online resource center for pastors. Since 2015, Michael Brodeur has been a spiritual father to our church. He has provided much of the DNA for our Home Groups and has helped us to define our vision as a church. Michael has a passion to see the Kingdom of God expand as local churches overcome growth challenges and come into resources that will allow them to reach the people God wants to touch. Harold is known in churches around the world and is a popular conference speaker and visiting instructor at numerous Bible Colleges. Linda is an elementary school teacher, but travels with Harold throughout the summer and during school breaks. Harold has authored over 25 books, dealing with issues such as Church leadership, life-centered Christianity, Kingdom finances, Church history, victorious Christian living, and various areas of theology. Harold also has an incredible ministry to the South Pacific and Middle Eastern regions, creating Bible Colleges, raising up leaders, and reaching people with the Gospel. He is currently focusing in the Philippines, Africa, and the Middle East. Harold and his wife of 33 years, Linda, live in Yakima, Washington, US. The Word of Grace Network was started by Penn Clark from Wellspring Fellowship Church in Penn Yan is a relationship-based fellowship of like-minded ministers who desire to work together in missions, both here and around the world. They have a defined set of values, are united in vision, and have set a standard of accountability so that together we can build strong healthy churches. Their vision is to provide a place where church leaders can establish meaningful relationships with those who are like-minded, provide general oversight that enhances the autonomy of the local church and inspires real accountability among our pastors, provide events where church leaders can come together for mutual edification, provide resources for ministers and those preparing for ministry, that will help them develop strong and healthy ministries, work together in outreach and church planting, both here and overseas. From the beginning, Penn has been a father to our church providing guidance and teaching. He has also given us much of our DNA for home groups. His ministries have provided many opportunities for us to learn and grow in the Lord.